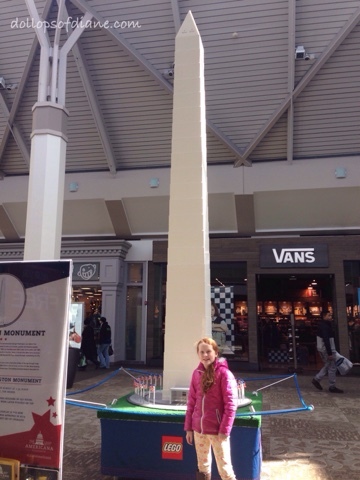 The family and I headed to the Providence Place Mall this morning for some family fun. 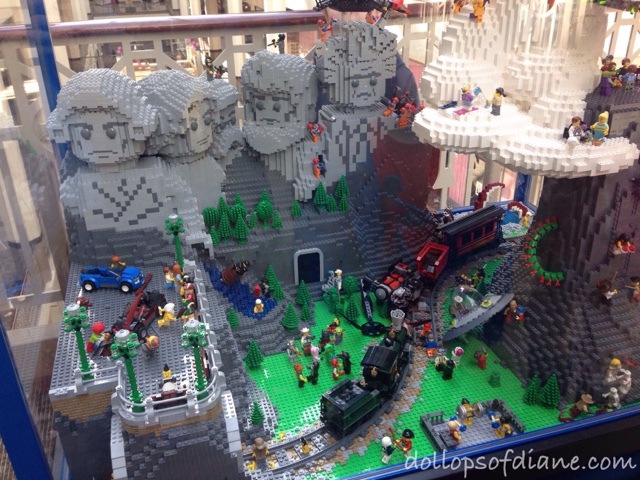 I had heard that the Lego Americana Roadshow was on display there and figured it would be a win/win for all involved. I'm happy to report that I was right! 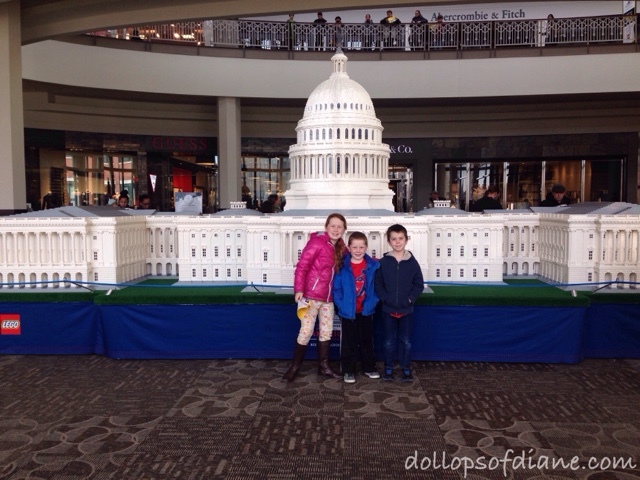 That's the U.S. Capitol Building made of Legos! The FREE display consists of some of America's most famous buildings made entirely of Legos. Each model has a sign with what it is along with the historical significance of it. There was also a trivia question for each model. You can guess who loved that (Hint: She's pictured below!). Along with the historical items they also had several just for fun exhibits that the boys loved. They were creative and full of mini figures. President Business on Mount Rushmore! 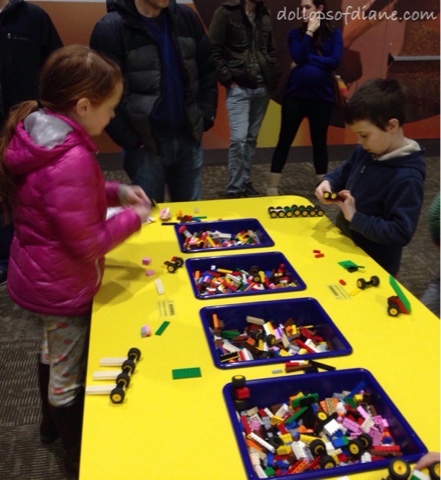 Along with just checking out the models, they have a hands on area where kids can have fun and play with Legos. They also have ramps where the kids spent lost of time building cars and racing each other. The Lego Americana Roadshow is taking place at The Providence Place mall from now through March 6, 2016 during normal mall hours. If you have a Lego (or American History!) fan in you're family, I highly recommend it. *Disclaimer: My family loved this free event so I am sharing it with you. No compensation/perks were received for it.